Brian "the Hawaiian Punch" Viloria is scheduled to fight the unknown fighter from Mexico this coming December 6, 2014 at Civic Auditorium, Glendale, California, USA. Brian Viloria the former WBA, IBF, WBO world flyweight champion is going to fight the underdog Armando Vazquez. Vazquez has record of 21 wins with only 4 wins by way of KO and has already 12 defeats. And also Vazquez loss 4 in his last 7 fights. 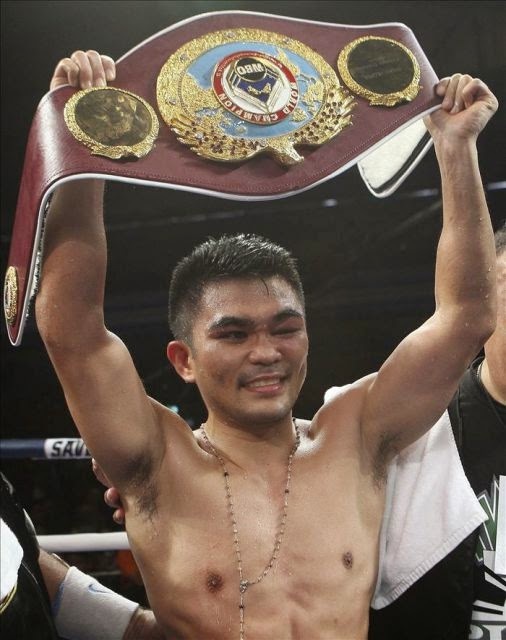 Viloria won his last fight by KO against the Mexican Jose Alfredo Zuniga last July 2014. I don't know how Viloria accept this fight. But one thing for sure this will be a Viloria night and he will win via KO again. Viloria deserve a big event and a big offer maybe a championship eliminator and not a kind of fight like this.